OK 199 Washita River, Bryan Co. 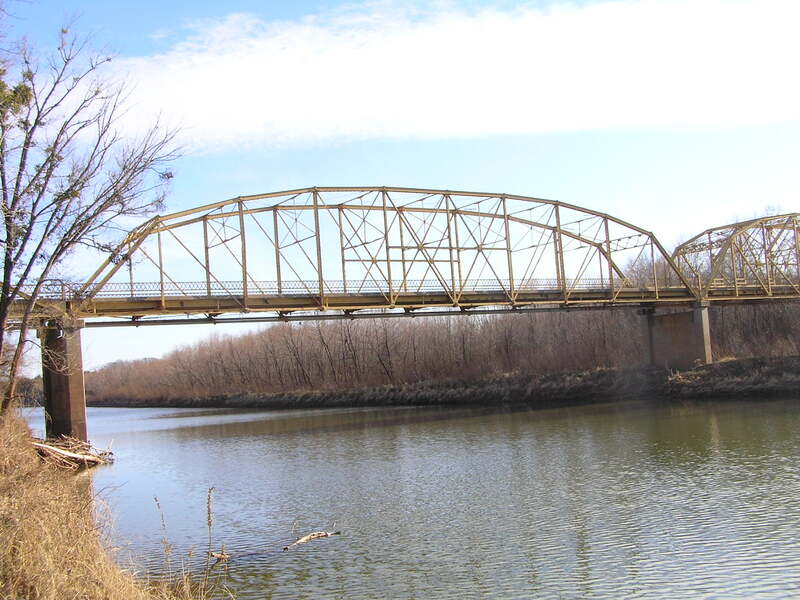 Located adjacent to Ft.Washita, this is a rather unusual and historic bridge. 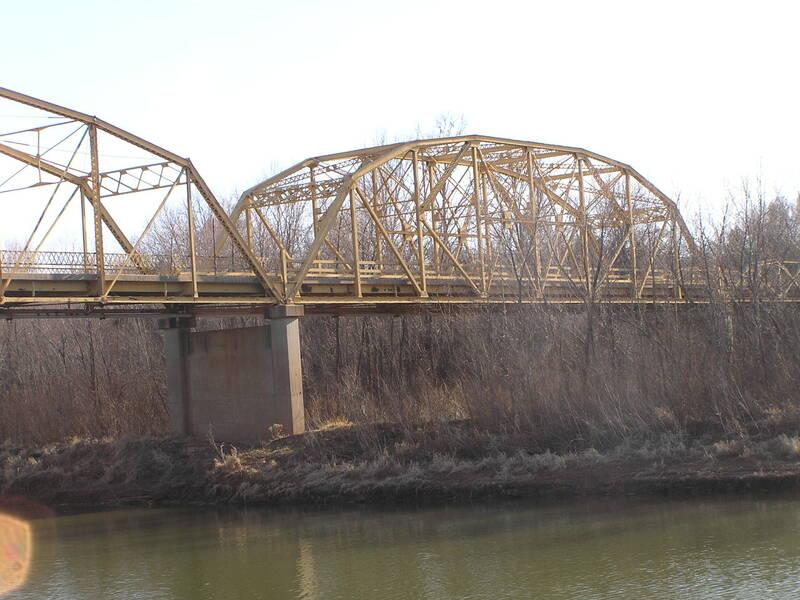 Built in 1950, the structure appears to have been constructed entirely of reused spans, including a 210-foot long pin-connected Parker through truss that appears to have been widened. Above, a view looking east. 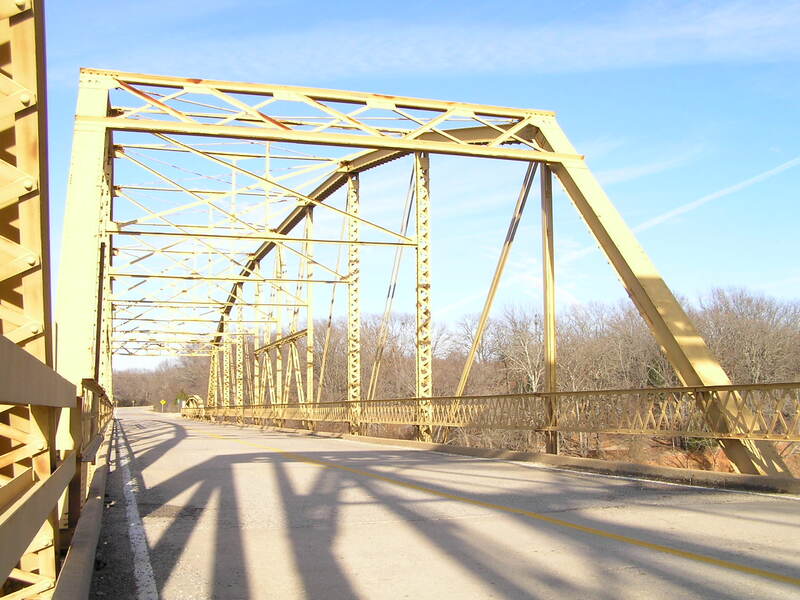 The bridge is made up of four spans: an 80-foot Parker pony truss, a 160-foot Parker/K-through truss, a 210-foot Parker through truss, and another 80-foot Parker pony. Total length of structure from abutment to abutment is 538 feet, deck width is 22 feet. 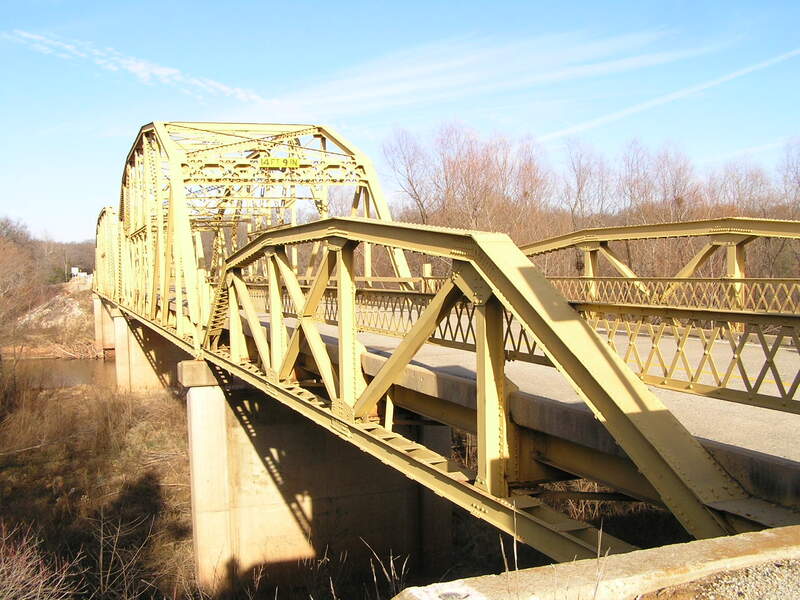 Above, a side view of the Parker truss shown in the previous photograph. Another unusual feature of this bridge is its square piers. Below, a side view of the Parker/K-truss. 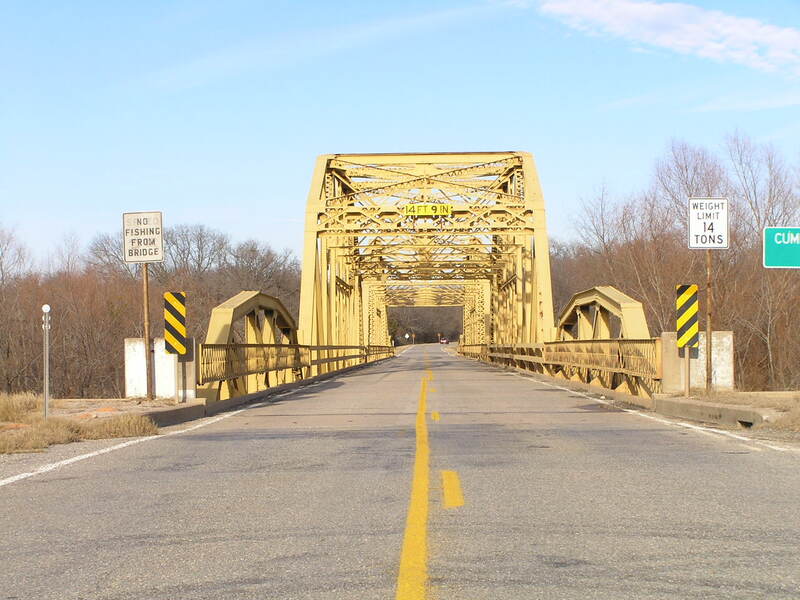 This span is much newer in overall design and detail than the other three. Above, a deck view looking east. 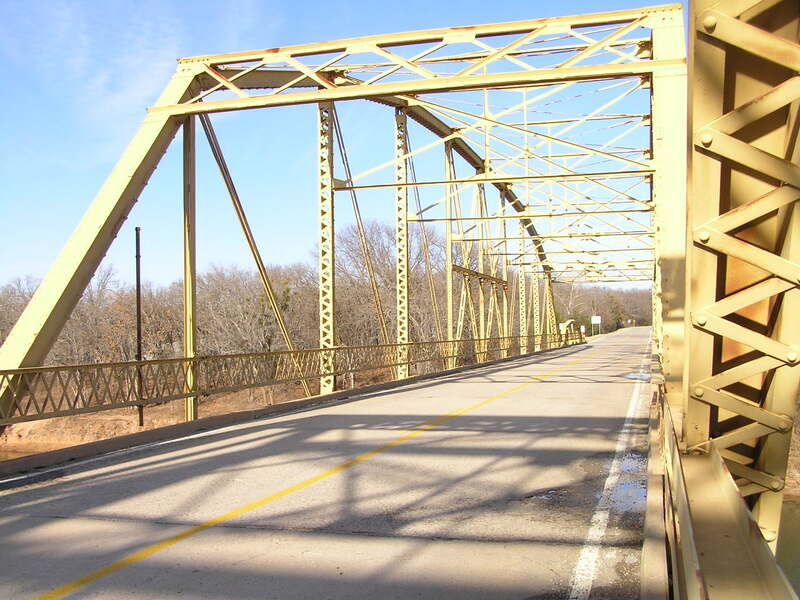 The newer Parker/K-truss span does not have lattice guards. Below, another deck view of the main span looking east. Above, a close view of the 160-foot span. 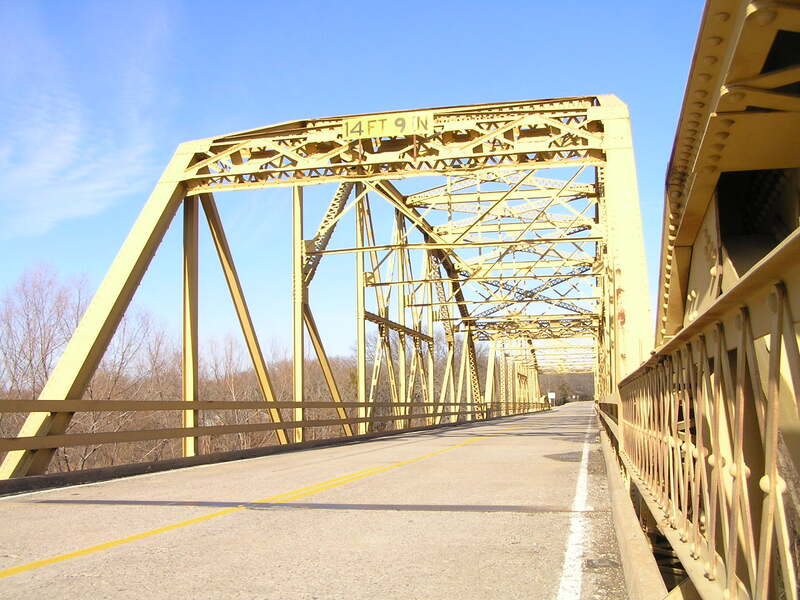 Below, a close view of the west pony span. Above a final view of this interesting bridge. Much speculation could be given to the origins of the four spans assembled here. The 210-foot span and the two ponies all look to date back to the 1920's, and may have been from the same structure. The 160-foot Parker/K-truss hybrid most likely dates to the mid 1930's. 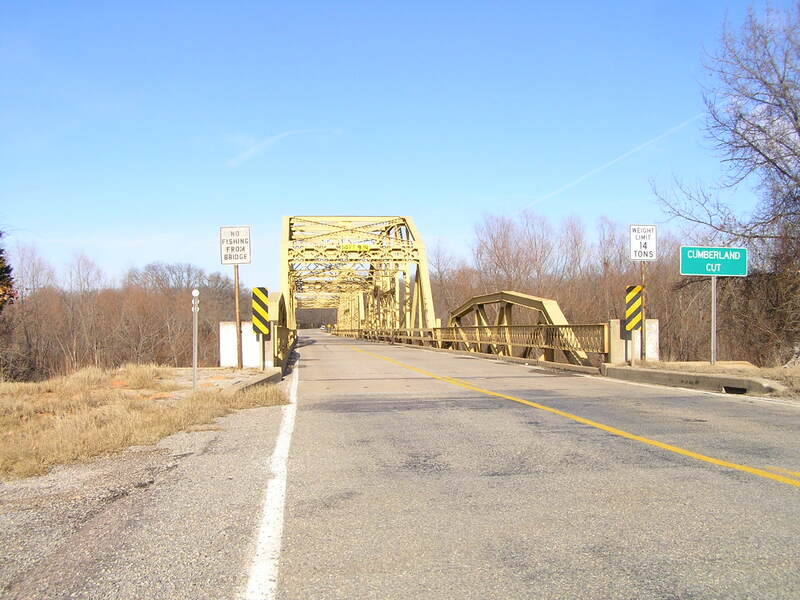 This bridge's load posted status raises much fear that its fate is sealed. 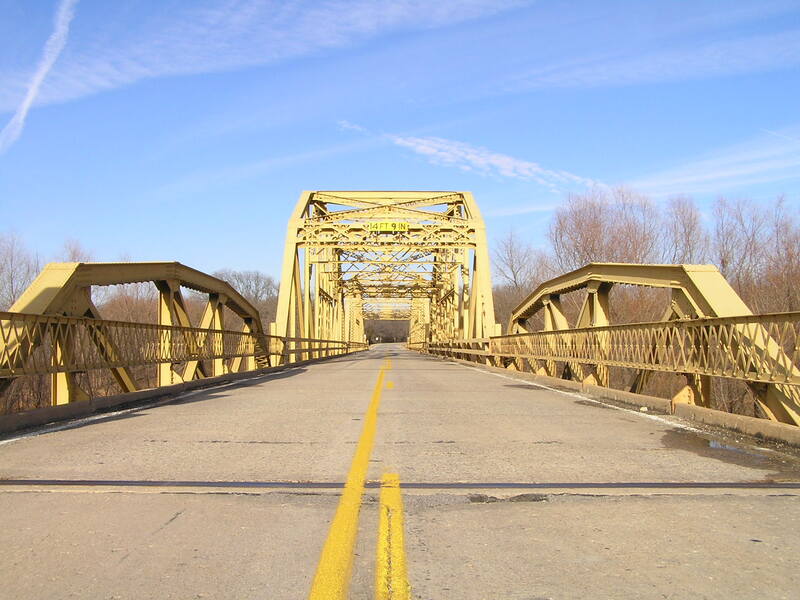 However, I hope ODOT will spare this bridge and allow it to stand along side any replacement that gets built. It is really a fine bridge, and the location is a scenic one.